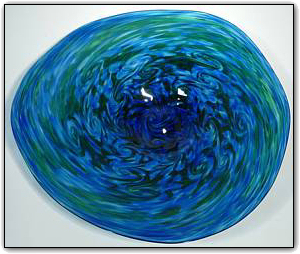 This wallbowl features many shades of blues and greens swirling throughout. Make sure to zoom in to see how the colors beautifully interact with each other. So amazing!